Guard your coins! What''s inside an alien besides acid blood, a metal tongue, and spite? Your money! This 8-inch vinyl bank of a warrior-class xenomorph from the sci-fi classic Aliens may have a coin slot in the back and an access door on the bottom, but it looks just like a high-quality collectible bust. 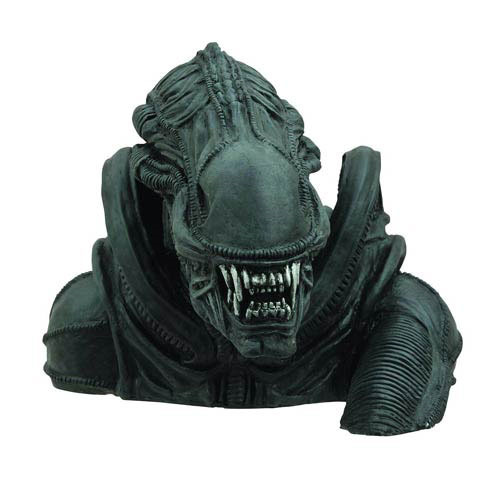 A detailed sculpt and paint job make this Aliens Alien Bust Bank a must-have item for any Aliens collection. Ages 8 and up. Bust bank is 10 inches long.